The company announced it was quitting the energy-from-waste (EfW) sector on 4 April, pulling the plug on its two gasification facilities on Teesside. Now Keith Riley, proprietor of Vismundi and partner in BH EnergyGap, has told MRW it was a “great shame” for the industry but he was not surprised by the announcement. He said he could not see another company buying the facilities because few had as much financial capital as Air Products. “Even if they gave it away for a pound, the liabilities are pretty high in terms of the investment that you need,” he said. A thorough technical review would be required by any potential buyers, he added, because only the company and its contractors would know what specific problems they had encountered. 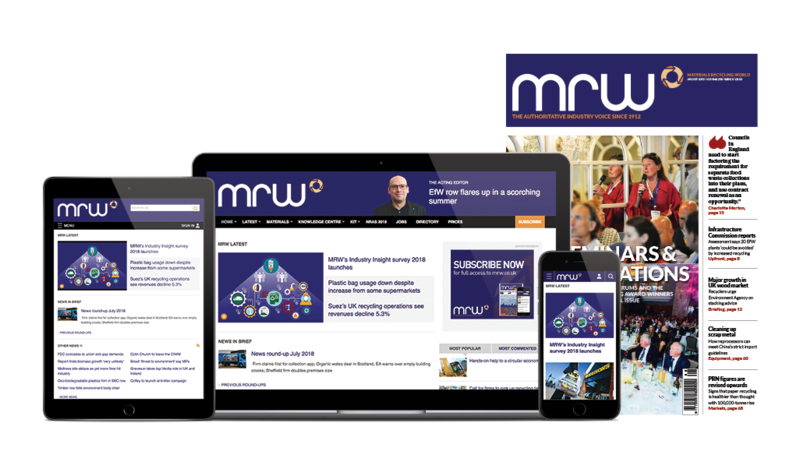 Industry figures told MRW they were concerned for the knock-on effect the announcement could have for the EfW industry in general, with resulting bad press “unhelpful for investor confidence in the sector”. A spokesperson for investment firm Foresight said: “This halt in activity is likely to raise questions amongst investors in the EfW sector and could well lead to a more cautious approach. Riley said it would be unfair for the rest of the sector to be affected by the failure of Air Products’ plasma gasification technology to come to fruition. “What they were doing was brave and had it worked would have been very exciting in what they would have achieved. Shlomo Dowen, United Kingdom Without Incineration Network national co-ordinator, said he was also unsurprised at the announcement, but added that gasification and pyrolysis were “synonymous” with technology and financial failures. “We hope this latest admission of defeat acts as a wake-up call for the Government which has unwisely been stoking this whole misadventure with environmental harmful subsidies and other unwarranted financial support. Former cabinet secretary Francis Maude agreed a deal for the Government to buy the energy from the output of TV2 in 2013 while the energy of TV1 was set to go to food giant MacDonald’s. Gas specialist Air Products has secured planning permission to build its 300,000 tonne capacity gasification facility near Billingham, Teesside. Gas specialist Air Products has unveiled plans to build a gasification plant with a capacity to treat 300,000 to 350,000 tonnes each year in the Tees Valley.